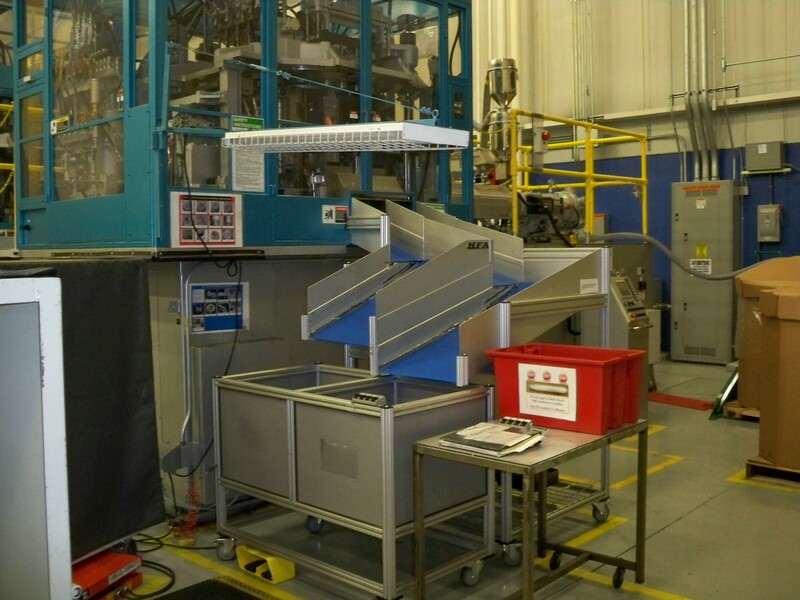 Facility Support - Machining Services Inc.Machining Services Inc.
By Facilities Support we mean, whatever it takes to run your facility more efficiently whether it is a manufacturing plant, a warehouse or a shipping facility. Below are some examples. 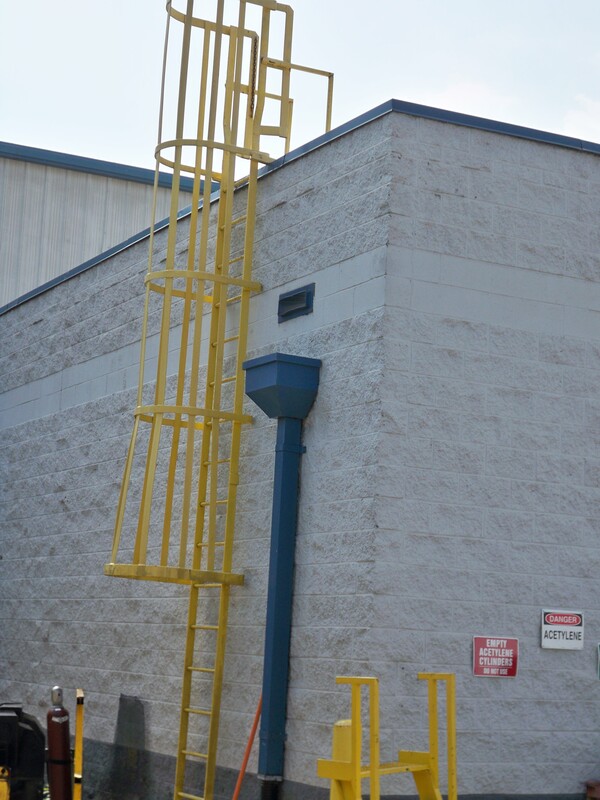 Safety Ladder for Roof Access. Owens-Illinois needed roof top access to service air handlers. 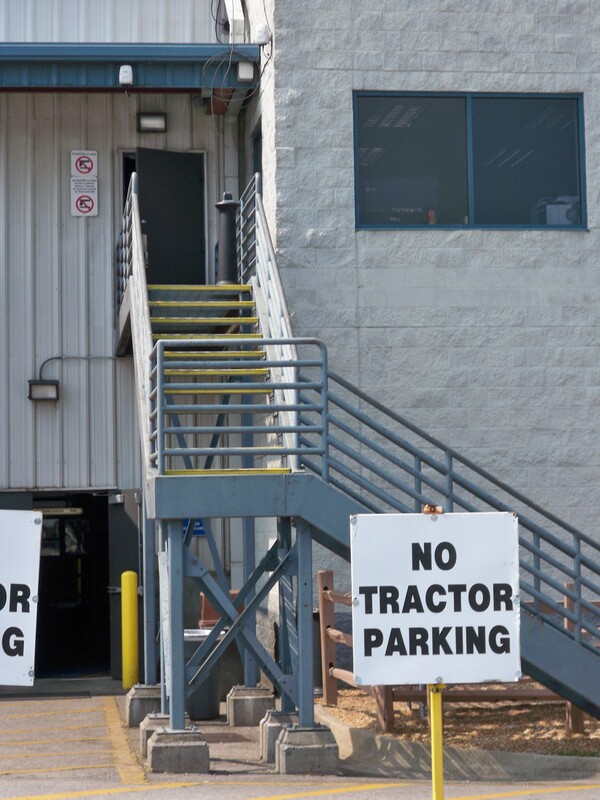 FedEx needed access to second story offices from the parking lot. Cross Over Platform and Stairs. FedEx employees needed quicker way to transverse the warehouse by going over the continuous conveyor which runs the length of the facility. It is much easier to cross over the conveyor at several points than to walk all the way around it! Steel Table for Maintenance and Storage. 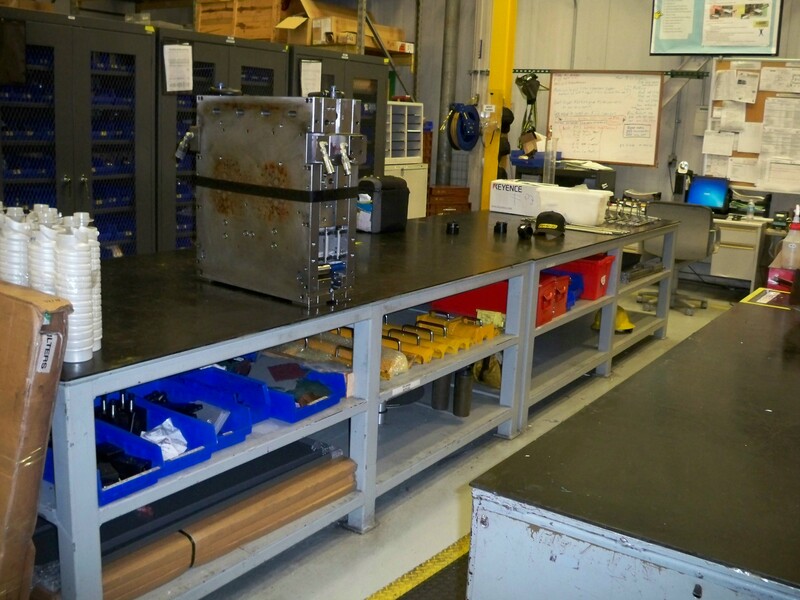 Our customer need a heavy duty work table that would bear the weight of dies and molds had storage for tools and parts. 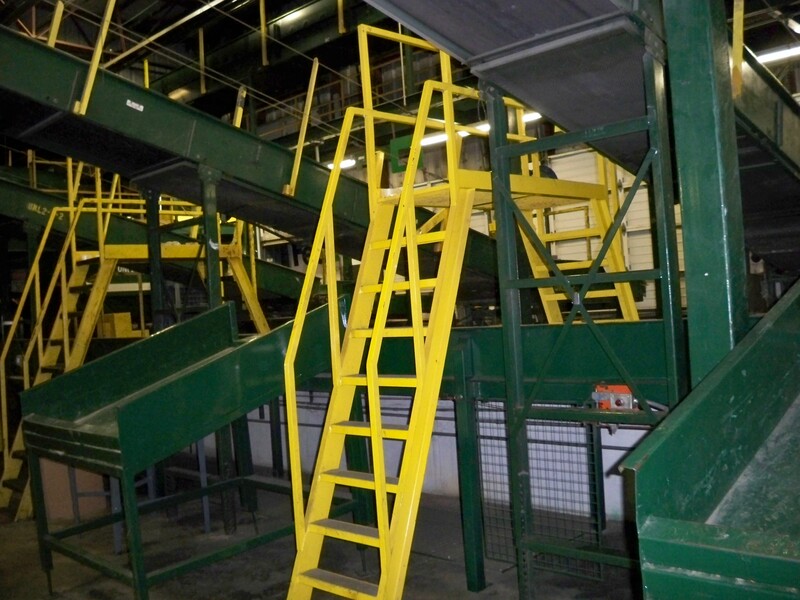 This project included: an operator work station, service platforms, safety railings and portable safety ladders.